This morning, I had the opportunity to play the violin with the worship band at church and in the midst of it, I realized just how much joy it gives me to be able to play my heart out in that way. My violin is like my third arm that I am able to, so naturally, lift up to glorify God. I am incredibly thankful for this gift He has given me to worship Him in ways that my words cannot. Also, thinking back on my life and experiences, I don't know who I would be today without it. It has opened so many doors for me, brought so many wonderful people into my life, and helped cultivate the character fruits in my life. And then my next realization...I've been playing violin for TWENTY years. Though my violin & I have had a tumultuous relationship (what 5 year old wants to practice 1 hour/day when all her friends are outside playing?? ), I will always love and cherish it. 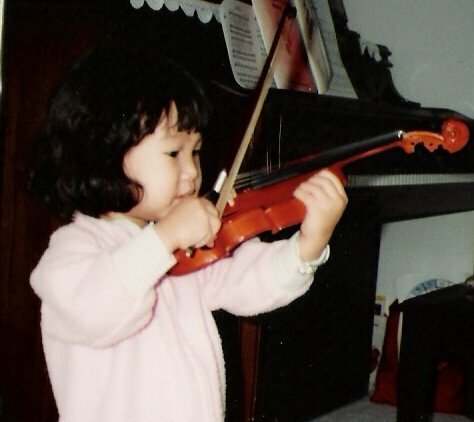 Since starting a new chapter in life this past fall, I knew my relationship with my violin would drastically change and I wouldn't get that much time with it. Thankfully, God has continued to open doors and give me ways to utilize this gift of music even with a crazy schedule and I hope to continue bringing Him glory with it and everything else I do. One of my favorite open doors was the chance to record this song, "Watermark", with Sleeping At Last. He is an amazing musician and is also blessed with beautiful, poetic lyricism. Seriously, I wish I could write like him! Enjoy!